Last night, I took the train to NYC with Brittany to shoot Manhattanhenge. 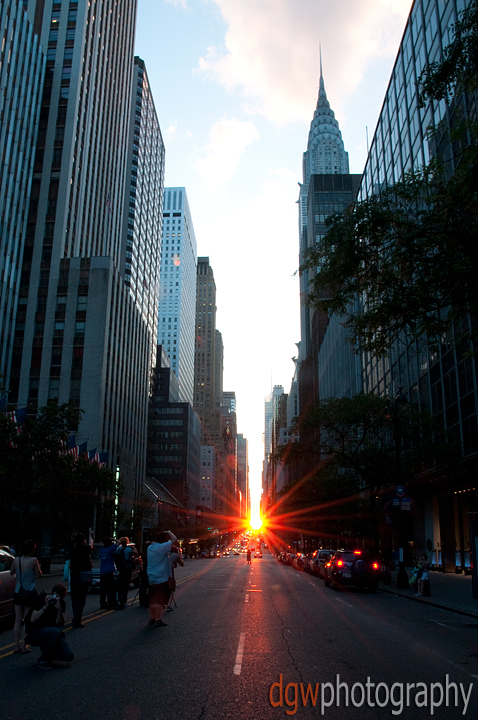 Manhattanhenge is a semiannual occurrence in which the setting sun aligns with the east–west streets of the main street grid in the borough of Manhattan in New York City. The term is derived from Stonehenge, at which the sun aligns with the stones on the solstices. It was coined in 2002 by Neil deGrasse Tyson, an astrophysicist at the American Museum of Natural History. It applies to those streets that follow the Commissioners' Plan of 1811, which laid out a grid offset 28.9 degrees from true east–west. Copyright, 2019 — David G. Whitham, All Rights Reserved.